It's no Courier, but for a charging pad, this is a pretty interesting concept. 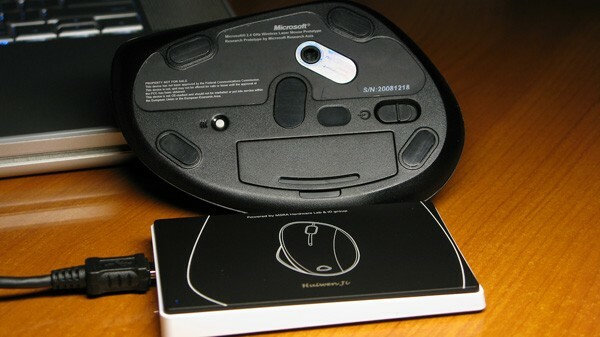 According to a patent filed by Microsoft's Beijing office, the idea for such a pad is that it can have one side dedicated to inductive charging (maybe for a future Zune or even Microsoft's own phones), while the other side can be used for displaying useful information "such as weather conditions, sports scores, news headlines." It may not sound very practical at first blush, but have a listen at this -- the built-in accelerometer and the charging surface's load detector help determine which side isn't in use, thus switching that side off to reduce power consumption. Voilà! As for why the eggheads suggested adding a light panel for glowing up a glass prism -- it's the new crystal ball. Update: looks like this device has been around since March 2009! A tipster -- who happens to be affiliated with Microsoft Research Asia -- has just hit us with some photos of a prototype device based on this patent. 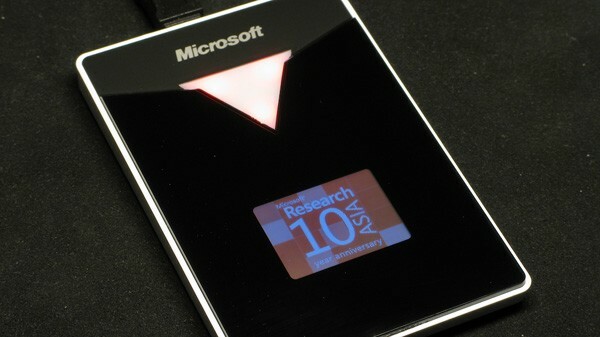 It's called the uPad (please, don't start) and was produced as souvenirs for Microsoft Research Asia's 10th anniversary. 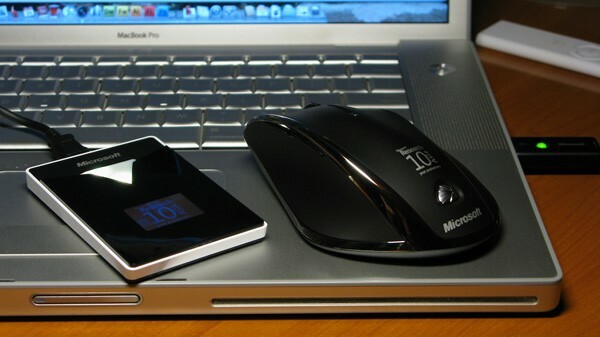 As you can see after the break, the uPad wirelessly charges a modified Wireless Laser Mouse 7000. We want one. Update 2: and now we have a video -- narrated in Chinese -- after the break. Thanks, bfishadow!